For those of you who are new to the concept of hacked PSPs, custom firmware might not sound so familiar. Custom firmware allows you to run homebrew software developed by the vast user community. This guide is available to download as a free PDF. Download Free PSP Downgrading and Upgrading Guide now. Feel free to copy and share this with your friends and family. Enabling this homebrew allows you to add apps, add additional functionalities and do a lot more with your PSP! 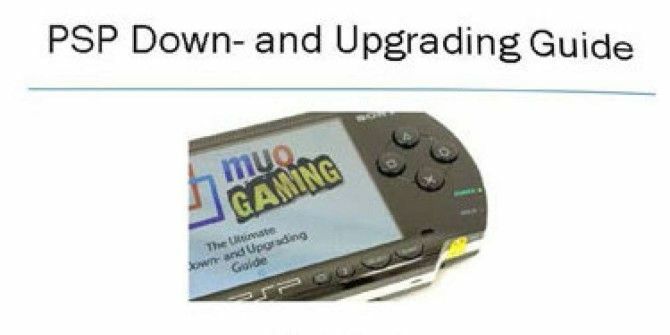 MakeUseOf proudly presents you a simple step-by-step PSP Downgrading and Upgrading Guide guide.